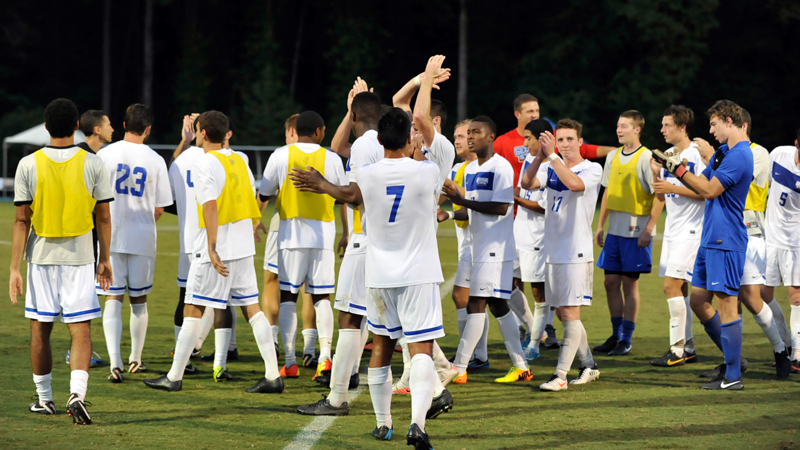 The 2013 Georgia State men’s soccer schedule features 19 games, including in-state rival Georgia Southern and NCAA tournament participate North Carolina. The Panthers must secure an at-large bid for postseason play since the Sun Belt Conference does not sponsor men’s soccer. The first regular season match is scheduled for Friday, August 30, versus Liberty. The match will be played at the GSU Soccer Complex and is set to kickoff at 4 p.m.. The slate will send Georgia State all around the country, from Nevada to West Virginia to North Carolina and Florida. The Panthers will host 10 home games, all of which are scheduled to be played at the GSU Soccer Complex.